A president of the United States is much like an entrepreneur. The United States is in many ways a gigantic company and many of the lessons Washington learned on the road to the presidency and afterward can be applied to business. We can learn much about success by studying the example of George Washington and his successors. When building a business, it can be helpful to look to those who came before as an example. Forging your own path in unexplored business territory can be exciting, but it is often safer if you look to others for help as you’re starting out. When he faced his own uncertain future, George Washington found a role model in his half-brother Lawrence, who became a sort of father figure to George after their father’s death. Lawrence took George hunting and told him stories of his own military exploits in South Carolina. Largely because of Lawrence’s influence, George later became a soldier and launched a storied career that would change the destiny of a nation. Sometimes you may be the one to inspire people who come after you. 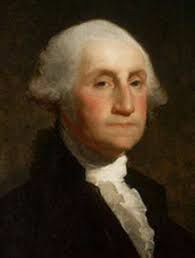 As the first president of the United States, Washington faced many choices in deciding what examples to set for future presidents. Should he act like a king, like the kings of England? Or should he be more like a common man? Or should he be somewhere in between? Washington decided to show that the new country was a republic, a land with no king; he dressed simply, insisted on a simple title, and showed how presidents were supposed to behave. When you become a successful entrepreneur, you may need to tell those who come after you what works and what doesn’t. Think of the good of your company. Washington showed courage many times in his life. Whether it was helping his mother raise his younger siblings after his father’s death or persevering through the harsh winter at Valley Forge. Washington was often called upon to help others through hard times and he did it without failing in his duty. Business can be a challenging field, full of uncertainty. Sometimes it may take courage just to start out in a bad economy. Sometimes courage may be required to take financial risks, and sometimes it takes courage to make a tough ethical decision. Washington had many leadership positions in both peace and war. He often had to make crucial decisions that would affect many thousands of people. He tried to make the choices that would benefit the greatest amount of people. At Valley Forge, he could have retreated, but he held his ground and was ready to fight the British in the spring. He had to think of more than just the few troops that were with him; his concern was for the future of the whole United States. Unless your company is very small, when you’re an entrepreneur you will have people who work under you. Sometimes you may need to let people go or make other difficult decisions for the good of the company, but you should weigh all of your options and make the choices that are best for the company as a whole. Sometimes you can make it on your own, but other times you need help to get where you want to go. Washington’s successes were due in great measure to his own perseverance and hard work, but he did owe some of the credit to his friends, like his sister in-law’s family, who helped him secure a job in the military. You may know powerful people or you may not, but you should take advantage of any opportunity to meet new people. Many budding entrepreneurs get their starts because of friends who think of them when they have open positions of available resources. And if nothing business-related comes out of a relationship, it never hurts to just have a few good friends. George Washington could have let his head get big. He could have said, “You know, I helped the colonies gain independence and now I’m the most powerful person in the country. I’m pretty amazing.” But as far as we know, he didn’t. He tried to turn down the presidential salary Congress offered him, and he insisted on the simple title of “Mr. President.” When his presidential terms were done, he went home to enjoy a quiet life instead of basking in his many triumphs. Washington managed to avoid the trap of getting caught up in his success, but many businessmen today do not. Whether your company is worth millions or just operating on a small scale, let that never change who you are.